The Behavioral Approach System (BAS) and Behavioral Inhibition System (BIS) are widely studied components of Gray's sensitivity to reinforcement model. 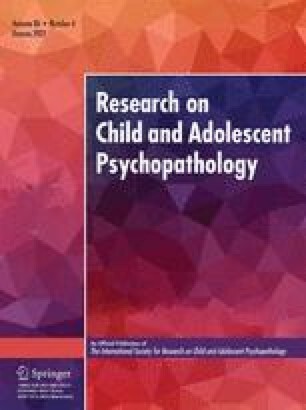 There is growing interest in integrating the BAS and BIS into models of risk for psychopathology, however, few measures assess BAS and BIS functioning in children. We adapted a questionnaire measure and reaction time task from adult studies to assess the BAS and BIS in a sample of 9–12 year olds (N = 63; 42% female). A continuous performance task was also administered to assess physiological correlates of the BAS and BIS. Factor analysis supported 3 subdimensions of the BAS (Drive, Reward Responsivity, and Impulsivity/Fun seeking), and one dimension of the BIS (sensitivity to punishment). Results supported the utility of the questionnaire measures and reaction time task as assessments of BAS and BIS functioning. Moreover, these measures were associated with internalizing and externalizing problem behavior as expected. High levels of impulsivity/fun seeking, but not drive or reward responsivity, were associated with high levels of externalizing problems, whereas high levels of sensitivity to punishment were associated with high levels of internalizing behavior problems. The relation between physiological indices and caregiver reports of the BAS, BIS, and problem behavior were complex and not consistent with expectation.